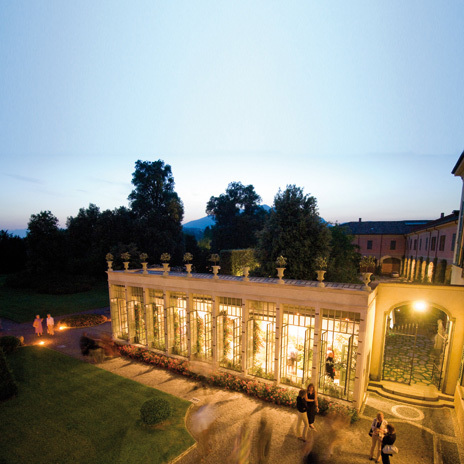 Built in the late 18th century at the behest of Marquis Paolo Antonio Menafoglio on the site of an existing 'noble mansion' and looking out across the city of Varese from the hill of Biumo Superiore, Villa Panza & the Panza Collection together constitute a 'villa of delight', conceived not as a residence for the owner but as a venue for receptions and society events. Indeed, the substantial three-storey building with its typically Baroque "U" shape – opening out towards a large Italian-style garden, as if suspended above Varese – enhances the atmosphere of intimacy and isolation that is very much a characteristic of this type of villa. Following the death of the Marquis, the villa was acquired by Duke Pompeo Litta Visconti Arese, who in 1829 appointed the architect Luigi Canonica to enlarge it. The results of this expansion included the new stateroom, known today as the 'Salone Impero', and the wing housing the stables and garages for the coaches. The 33,000 m2 of English-style grounds surrounding this villa were also redesigned, with immense landscaped areas and enchanting elements including the little lake and the Neo-classical temple. In 1935, the complex was acquired by Ernesto Panza di Biumo who entrusted architect Piero Portaluppi with the task of remodelling it. Upon Ernesto's death, ownership passed into the hands of his four children, amongst whom Giuseppe was particularly enamoured of it and decided to use it to house his celebrated collection of contemporary art. With a view to preserving intact for posterity both the villa and the enormous collection contained within it, in 1996 Giuseppe Panza donated both Villa Panza and the Panza Collection to FAI – Fondo Ambiente Italiano (Italy's National Trust), which opened the villa up to the public in 2000 after a prolonged restoration project. 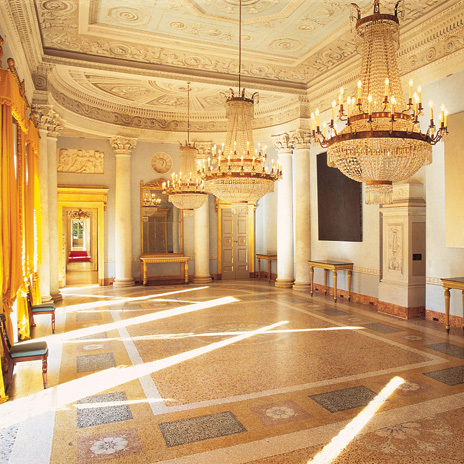 The villa and its treasures are now considered to represent one of the greatest encapsulations of the culture of the second half of the 20th century.